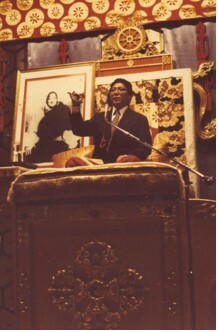 “Vidyadhara” is the dharma title of Chogyäm Trungpa, Rinpoche (1939–1987). In Sanskrit, vidyadhara means “holder of knowledge.” “Rinpoche” is a less formal title meaning “precious one” or “jewel,” which indicates that a person is a reincarnated lama or tulku. 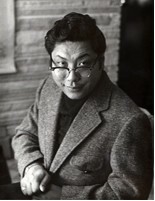 Chogyäm Trungpa was the eleventh Trungpa tulku. Chogyäm Trungpa was a master of meditation, a social visionary, author, artist, and poet who founded Naropa University in Boulder, Colorado, the first Buddhist-inspired university in North America, in 1974. Late in the 1970s, expressing his long-held desire to present the path of meditation in secular terms, Trungpa Rinpoche developed a program called Shambhala Training, based on the legendary enlightened kingdom known as Shambhala. During the 1980s, while continuing teaching tours, Buddhist seminaries, and book publication—and establishing Gampo Abbey, a Buddhist monastery in Cape Breton, Nova Scotia, Canada—Trungpa increasingly turned his attention to the propagation of teachings that extend beyond the Buddhist canon. These activities included not only Shambhala Training, but also Japanese archery, calligraphy, flower arranging, tea ceremony, health care, dance, theater, and psychotherapy. In planting the seeds for these many activities, Chögyam Trungpa sought to inspire students to bring art into everyday life. The Nalanda Foundation, which he founded in 1974, is an umbrella organization for these activities. Vajradhatu, the international organization of meditation centers that he established, is now known as Shambhala International. 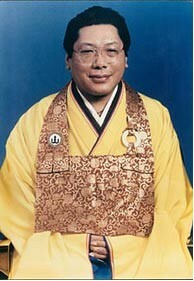 Trungpa Rinpoche is widely acknowledged as a pivotal figure in introducing the Buddhadharma to the Western world. His appreciation for Western culture was woven into his deep understanding of his own tradition, resulting in a revolutionary approach to teaching the dharma. The profound teachings of the Karma Kagyu and Nyingma lineages of Tibet were integrated into a unique presentation of the ancient Central Asian Shambhala tradition as a basis for creating an Enlightened Society to sustain both humanity and the natural world. Through his remarkable command of the English language, these ancient and profound teachings were presented in a thoroughly contemporary manner. Trungpa Rinpoche was known for his fearless proclamation of the dharma: free from hesitation, true to the purity of his tradition, and utterly fresh. From his earliest days in the West, he was known for his no-nonsense, straightforward approach to Buddhism, meditation, and daily life. Being honest with oneself was a frequent theme. Just the Facts by Chögyam Trungpa - Dharma literally means "truth" or "norm." It is a particular way of thinking, a way of viewing the world, which is not a concept but experience. This particular truth is very painful truth -- usually truths are. It rings with the sound of reality, which comes too close to home. Buddhadharma: Why Meditate? by Chögyam Trungpa, Rinpoche 1974 - In the practice of meditation, it is necessary to think quite sanely and practically about ecology. It is more ecological, needless to say, to stop collecting more stuff, more garbage. Just see the collections of thought as something unnecessary. That is the starting point for the practice of meditation, which is the beginning of undoing ego’s territory. How to Meditate: The Dathun Letter by Chögyam Trungpa Rinpoche - The shamatha style of meditation is particularly recommended by the Buddha. It has been the way for beginning meditators for 2,500 years. To describe meditation we could use the phrase touch and go. You are in contact, you’re touching the experience of being there, actually being there-—and then you let go. On Meditation by Chögyam Trungpa Rinpoche - Quotes from Shambhala: The Sacred Path of the Warrior, on the Shambhala Training Glossary. Acknowledging Death by Chogyam Trungpa - We do not have to try to conceal the unspeakable; on the other hand, we do not have to push it to the extreme. At the least, we should help a person to have some understanding of the idea of loss – of the possibility of nonexistence and of dissolving into the unknown. It is a question of acknowledging that we are born alone and that we die alone, but that it is still okay. There is nothing particularly terrible or special about it. But the acknowledgment of your common ground – your common experience of birth, old age, sickness and death, and the fear that underlies all of those – brings a sense of humility. That is the beginning of the healing process. The New Age by Chögyam Trungpa - In an article originally published in 1969, Trungpa Rinpoche reflects on how Buddhism can address the alienation of modern society. He suggests that opening up communication is the answer to violence and aggression, and that meditation opens up communication. The Way of Maha Ati by Chögyam Trungpa and Rigdzen Shikpo. Shambhala from the 21st Century by Mark Szpakowski 9/8/09 - Imagine - a civilization, a culture, a country or countries, where the sacred is acknowledged in every aspect of personal, family, and community life, as well as in the details of business, finance, and government. Such a society would respect equally the genuine practice traditions of the many faiths of its citizens. Deception, Corruption and Truth by Suzanne Duarte 7/16/09 - Two dharmic values that the Vidyadhara embodied, which were reinforced in me by his example, are consideration and concern for future generations and the importance of being truthful, which are related with each other. Jump Out the Window by Suzanne Duarte - A few highlights of my personal experiences with Trungpa Rinpoche. Introduction to the Drala Principle by Bill Scheffel - The “drala principle” refers to a body of teachings that Chögyam Trungpa presented in the last decade of his life, from 1978 to 1986. 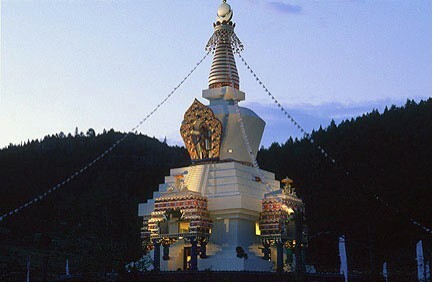 The roots of the drala principle precede the introduction of Buddhism into Tibet and are found in the indigenous traditions of that country - as they are in all countries. The drala principle is applicable to anyone. These teachings speak to the heart, whether one is religiously, artistically or politically motivated. Drala is the elemental presence of the world that is available to us through sense perceptions. Shambhala: the Outer Tradition by Suzanne Duarte - A brief overview of the myths and legends of Shambhala in Asia. Being Tara: Recollections of Dharma Art with Chögyam Trungpa - A slideshow with Jack Niland, with images of Trungpa Rinpoche's original art work, 2007. Chronicles of Chögyam Trungpa Rinpoche - a rich source of information about the man, his work and his students, by his students. Ocean of Dharma Quotes of the Week - an e-mail feature that brings you the teachings of Chögyam Trungpa Rinpoche. An e-mail is sent out several times each week containing a timely or timeless quote from his extensive teachings. Radio Free Shambhala – Discussions between students of Chögyam Trungpa and those of his successor. In contrast to the traditional medical model of disturbances, the Buddhist approach is founded on the belief that basic sanity is operative in all states of mind. Confusion, from this point of view, is two-sided: it creates a need, a demand for sanity. This hungry nature of confusion is very powerful and very important. The demand for relief or sanity that is contained in confusion is, in fact, the beginning point of Buddhism. That is what moved Buddha to sit beneath the bodhi tree twenty-five hundred years ago -- to confront his confusion and find its source -- after struggling vainly for seven years in various ascetic yogic disciplines. Basically, we are faced with a similar situation now in the West. Like Siddhartha before he became the Buddha, we are confused, anxious, and hungry psychologically. Despite a physically luxurious prosperity, there is a tremendous amount of emotional anxiety. This anxiety has stimulated a lot of research into various types of psychotherapy, drug therapy, behavior modification, and group therapies. From the Buddhist viewpoint, this search is evidence of the nature of basic sanity operating within neurosis. — Chögyam Trungpa, Ocean of Dharma: The Everyday Wisdom of Chogyam Trungpa - 365 Teachings on Living Life with Courage and Compassion, number 34.